In cooperation with the renowned research company Q-GLASSTECH SP.Z O.O. from Poland, InfAI is planning a transnational cooperation in the area of glass laminates. The results can be used for topics such as glass finishing, measurement and testing technology as well as for further research and the development of specialty glass ceramic and glass ceramic. For several automotive manufacturers we develop an Android rear seat entertainment system. An Android tablet developed by the client is used as hardware to meet the Automotive Grade Quality Standards. The hardware has an adapted Android operating system which provides the necessary interfaces to the vehicle and is a full featured Android tablet at once. The tablet is completely integrated into the vehicle. On this basis, we develop several apps that provide a fully integrated and networked infotainment offer when on the road. This includes e.g. the vehicle’s media control system: streaming media content from radio to tablet and back, controlling media content in the vehicle, displaying relevant vehicle content, controlling and displaying navigation data. SMIM stands for Smart Meter Installation Management. It provides an end-to-end digital processing of assembly orders for the installation and maintenance of smart meters by means of a cloud-based back office application for the management of orders, devices and modules as well as by means of mobile applications for android and iOS devices. Circuit is a communication platform that enables users to collaborate effectively through chat, audio, video, screen sharing, and file sharing in just one app. 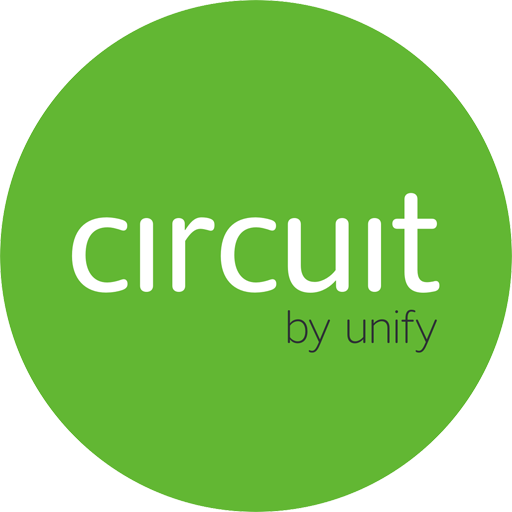 Circuit became known under the name Ansible of the company Unify. The platform is characterized by its ease of use. A thread can be used to share content in the workgroup or with anyone in the company. Circuit is available on PC, tablet and smartphone and thus realizes the demand for mobile work. Lehrerkolleg (German for “teaching staff”) is a platform that supports teachers in their daily work and offers tools to improve teaching. Along with basic features such as creating and managing a profile, teachers are able to share their experiences and to get feedback about their lessons from students. The “Everyday Fitness Test (AFT)” is a standardized test that checks the everyday fitness of people over the age of 60 years. Based on the results of the test, a training will be created that will improve the areas that are not yet sufficient. Thus, not only the overall performance and agility, but also the health of the participants are improved. GISA.connect is a flexible and secure data transport platform that connects energy supply operators, operators of renewable energy systems and IT service providers based on defined contractual relationships and settles IT services rendered. The Institute for Applied Informatics (InfAI) not only stands for excellent research, but also for the close integration of science and industry. The InfAI sees itself as a business-oriented transfer institution and innovation engine of solutions based on current information and communication technologies. These are developed as part of national and international research projects or as contract research for various target industries, then led to product maturity together with companies and thus made directly usable. In doing so, we partner with other research institutions, institutions, and business corporations to combine our knowledge to develop a marketable product based on the latest scientific research. Here you can see a small selection of our transfer projects. Lehrerkolleg (German for "teaching staff") is a platform that supports teachers in their daily work and offers tools to improve teaching. Along with basic features such as creating and managing a profile, teachers are able to share their experiences and to get feedback about their lessons from students. The "Everyday Fitness Test" is a standardized test that checks the everyday fitness of people over the age of 60 years. Based on the results of the test, a training will be created that will improve the areas that are not yet sufficient. Thus, not only the overall performance and agility, but also the health of the participants are improved.